AVANTI fur store in Kastoria, Greece, invites visitors from Corfu to try the AVANTI Furs 2014-2015 fur Collection. 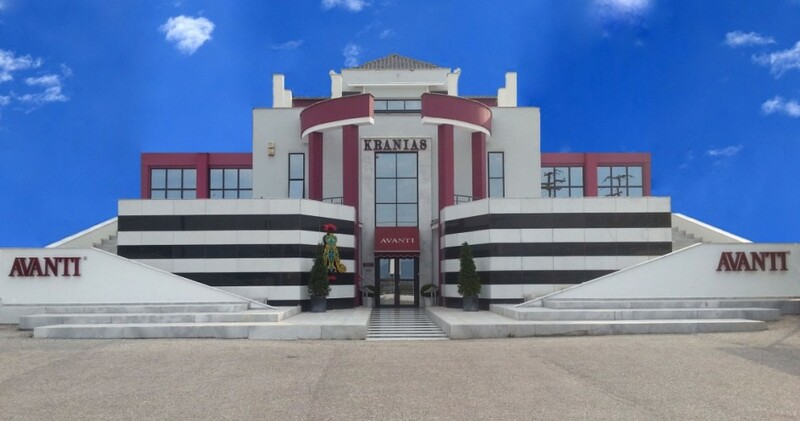 A wide selection of AVANTI products ranging from fur coats, mink fur jackets, lynx furs, fur vests and fur accessories are sold in the beautiful fur store in Kastoria. All kinds of fur can be found, as well as special Sur mesure requests since the Kastoria fur store is located at the fur factory and Head offices where all patterns and fur coats are manufactured! Corfu has seen a large demand for furs due to its proximity to Kastoria as well as its increasing number of tourists from Russia, Ukraine, Kazakhstan and Belarus. Greek furs are well known worldwide for their high quality. Visitors of Corfu now only need 3 hours to visit the AVANTI fur store in Kastoria and try the AVANTI fur coats sold globally. Corfu has plenty of 5 star hotels and high end facilities and visitors are lucky to have numerous locations to explore. The Historical Achilleion, the mythical Nymphes, the traditional Kynopiastes and the sand filed beaches in the Southern part of the island give visitors a variety of activities. The local architecture mix of Kerkira, or Kerkyra as the Corfu town capital is called, as well as the local food and delicacies are certainly no place else to be found in Greece. The port of Corfu or limani Kerkiras is located at the city, less than 5 minutes from the center of Kerkyra. Contact the AVANTI Kastoria fur store for transportation and other store information. Visit Kastoria and see the magnificent new AVANTI fur Collection of mink, sable, swakara, chinchilla and lynx coats. The ferry to Igoumenitsa takes a little over an hour and the distance from Igoumenitsa to Kastoria is around 230km, almost 2hrs drive. It’s a beautiful drive through the mountains of northern Greece. The national highway takes you through bridges and tunnels, a very picturesque and pleasant field trip! The AVANTI fur store is very easy to locate as it is right in the entrance of the city. The fur store and factory are located in the same building and it is easy to see your fur coat being manufactured on the spot! Visit Kastoria and find out everything you wanted to know about furs. AVANTI is one of the oldest fur manufacturers of Kastoria.